More poker is heading for UK television screens. The Poker Masters of Europe, an exclusive invite only tournament, which will be sponsored by Betfair & Betfair Sportsbook has all the makings of a classic. The Betfair Poker Masters of Europe will feature 36 of the best players in the world. A live audience will watch the action unfold at the famous Riverside Studios in Hammersmith. Emblaze Productions will be producing the TV show. So, a quality tournament is in prospect. Emblaze recently produced the British Poker Open, the Million Dollar Cash Game and the European Poker Masters. All of which received high praise. Ben Fried, Betfair's Head of Poker said, "We aim to make this the most important invitational event of the year. The Betfair Asian Poker Tour is a fantastic open tournament for our players but this event will be more exclusive. We expect some exciting characters from sport and screen as well as the top poker players; it will make great TV." The Managing Director of Emblaze Productions James Hopkins said, "For the Betfair.com Poker Masters of Europe we will build on our unrivalled experience for high quality productions to make this the best televised event of the year." The series appears to be pretty standard in the field of televised poker. Six heats will feed down into one final table. The winner of the final will walk away over $100,000 richer for their efforts. The buy-in for this event is $7,500. However, Betfair Poker have six seats up for grabs via satellites in their online poker room. The Betfair.com Poker Masters of Europe will take place between May 11th and May 14th. 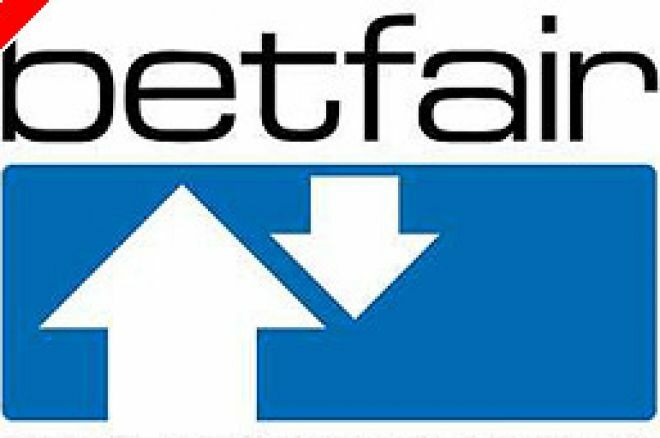 Ed note: Download Betfair Poker and qualify for the Poker Masters of Europe. We'll throw in a $600 bonus when you deposit too! Or if Sports Betting or Daily Fantasy Sports is your thing than please visit BookieSmash - The UKs #1 betting tips and online betting sites resource or FantasyWired - DFS at its finest.